This isn’t your Grandma’s lemonade. This cocktail isn’t full of sugar that will weigh you down. 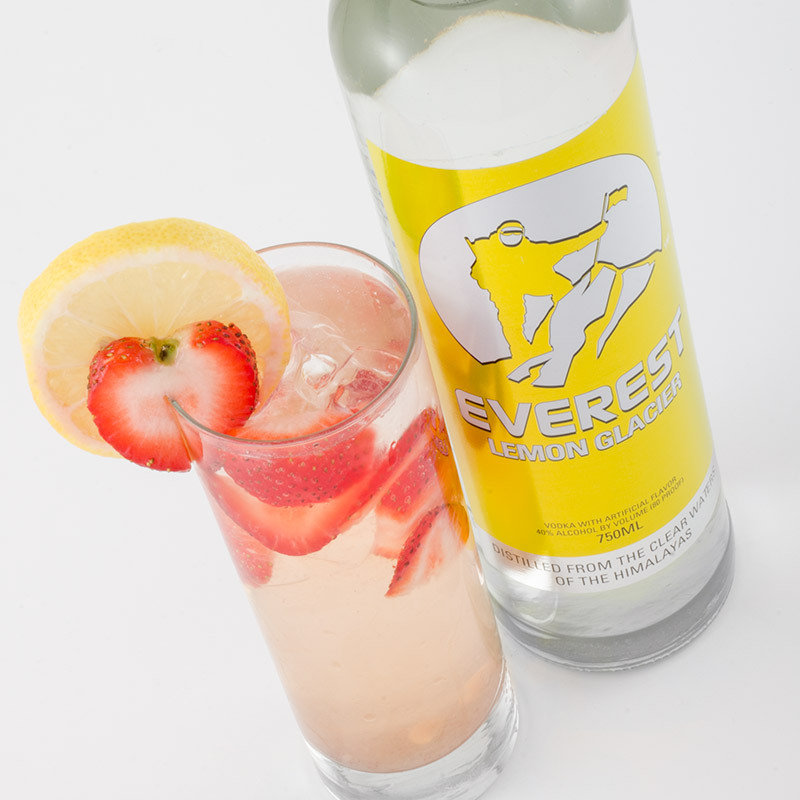 It is sweetened only with fresh strawberries and a touch of agave. 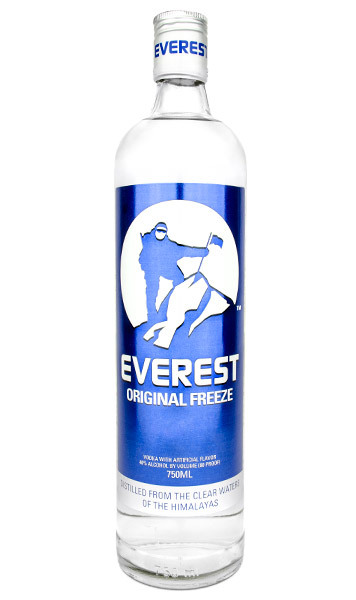 Paired with our mild Everest Lemon Glacier vodka and fresh squeezed lemons, it’s the perfect mix that is not too sweet and not too tart. Pour 2 oz. 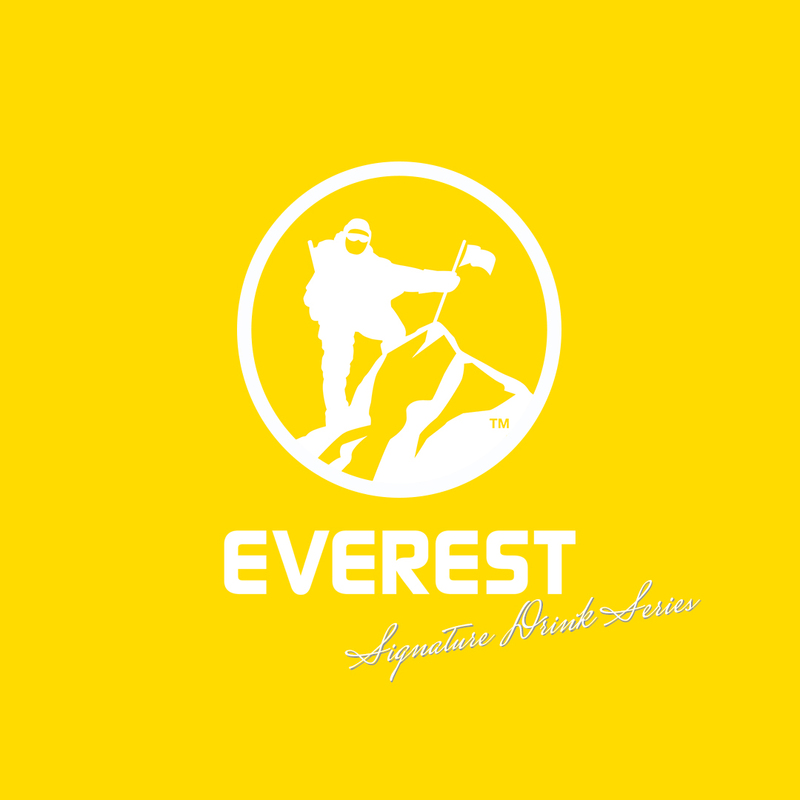 Everest Lemon Glacier and 0.5 oz. agave into a martini shaker. Add a handful of sliced strawberries and a wedge of lemon. Muddle. Pour into tall glass filled with ice and top with soda water. Garnish with lemon wheel and strawberries. 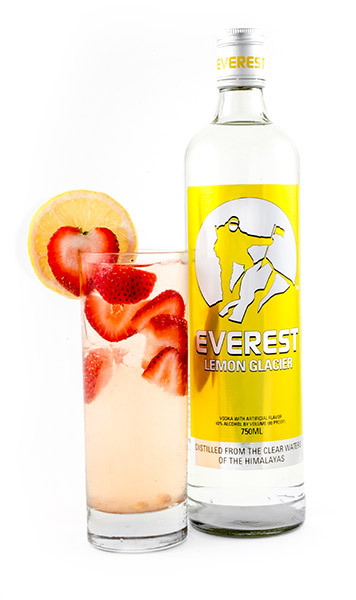 Everest Signature Drink Series recipes using Everest Lemon Glacier. 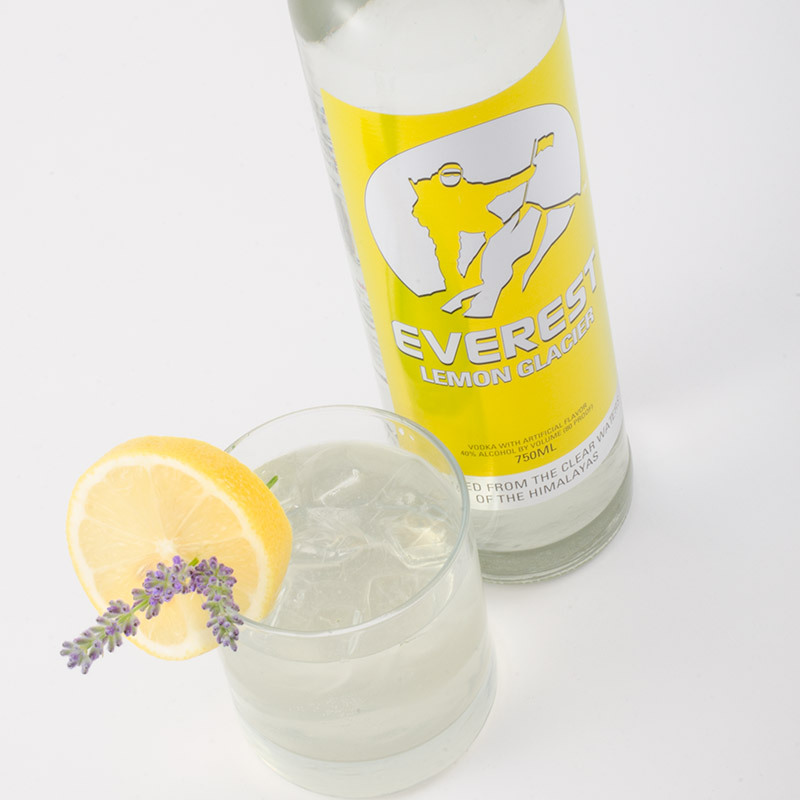 Lavender Grace has a refreshing lemon flavor, without being overpowering. To contribute to the depth of flavor, we added lavender with a subtle floral undertone. Its taste is as sophisticated and delicate as its beauty and name.